Valet parking is available Monday - Saturday, starting at 6pm. There are also 2 parking garages within walking distance to our location as well as plenty of metered and off street parking. Serafina offers 3 private rooms. Anything from small intimate private dinners in a former bank vault to large cocktail receptions up to 100 people. Serafina in Boston's financial district brings casual Italian cuisine to Boston. Great atmosphere. Great menu. Enjoyed the Caesar salad and 4 cheese pizza. Great choices for Good Friday. The place has potential. The room is nice, but noisy. The food is inventive. The challenge was the service. They needed 2 more waiters. Ours hardly spent a moment with us. We waited for ever to get our first beverages. It felt like they should have not taken so many big group reservations or staffed for it. Great environment, not too loud not too quiet. The Burrata Prosciutto as an appetizer is amazing. 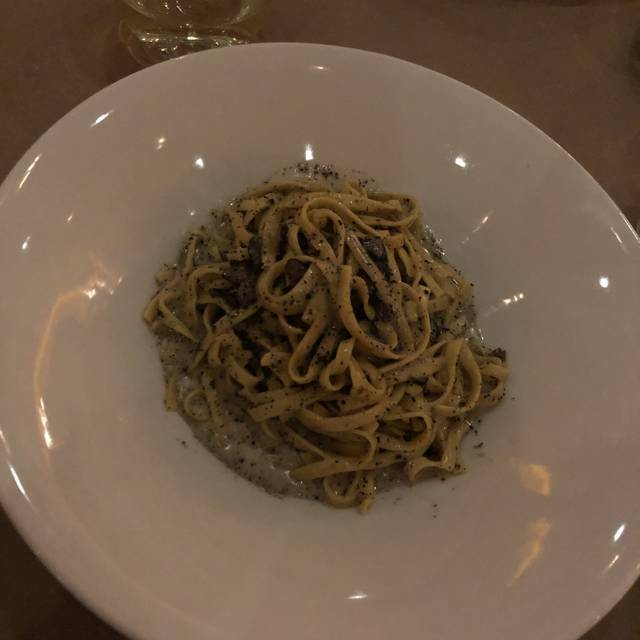 The truffle tartufo pasta is delicious!! Awesome place to meet with friends or clients. Great food and atmosphere. 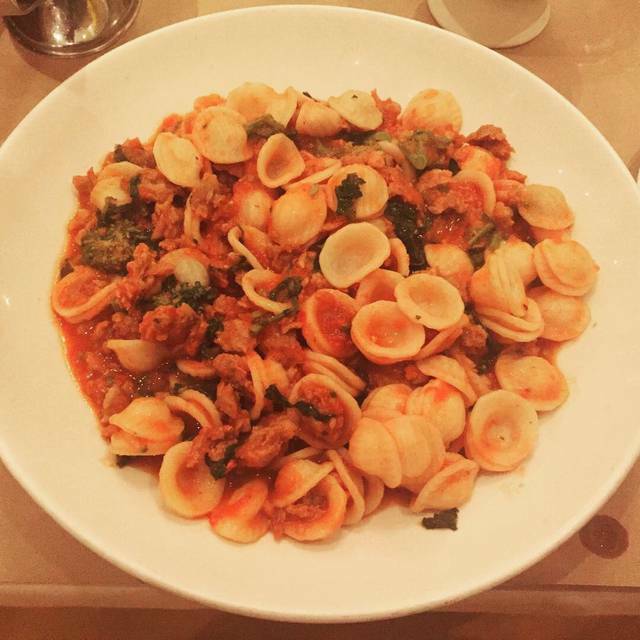 The food has been absolutely delicious the two times we have eaten at Serafina. The second time our waiter couldn't have been more personable, helpful and knowledgeable. Loved it. I decided to try this restaurant for my 40th birthday, and it was a disaster from the moment that I walked in the door. It took us over 30 minutes to get our drink order – and this was all non-alcoholic beverages. My order was incorrect along with several others at our table. We were charged for the birthday treat – but it was a dish that I don’t even like- tiramisu. Finally, I stepped out of the restaurant to leave and realized that I left my gift on the table, and I returned to claim it. They stated that they could not find it, and I am still without. 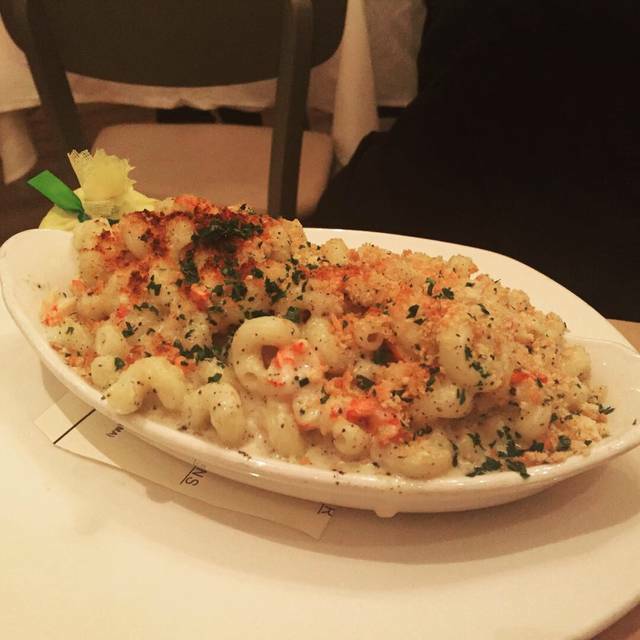 We are visiting Boston for a few days, and returned to Serafina after such an amazing meal awhile back. This time our food was hit and miss. The grilled octopus was an incredible starter. I could have had two! Delicious. But the lobster ravioli lacked flavor, and the dish my wife had was also bland. The desserts however were scrumptious. Maybe an off day?! The atmosphere, service and food where great. The staff really made you feel welcome from the minute I walked thru the door. It was a little noisy because the bar area was crowded but that is to be expected in any restaurant in Boston these days. Food is always great, I eat there regularly and you can always count on a good meal. Service is exceptional. Service is excellent. Food is really good. Thank you. Poor service from the waitstaff. It was us and three other tables. Our waiter was not to be found. Another waiter took our drink order after ten minutes. The food was fair. The restaurant was so pretty! Very nicely decorated and also very good food. The service was a bit slow, I understood that it was busy but don't feel like it should have taken as long as it did. Other than that the food and wine were amazing. Great location, very efficient but not rushed service on a weekday for a business lunch. Great that they substitute gluten free pasta in all dishes! Salads looked great. Ambience is more business lunch than romantic night out - but it is in the financial district and we were there for a business lunch. Go to a different location for ambience. This is a great choice for a delicious business lunch. Had a nice birthday dinner with my partner. Restaurant was very loud-there were lots of parties going on-tables are very close together, a young crowd. Food was awesome, service was good, drinks were good. Restrooms are way downstairs which could be a challenge for some. Overall a nice evening-will be back. Everything was good until I realized I left a 40% tip! I was entertaining 5 clients and the server never mentioned to me the a 20% service charge was already included in the final bill therefore I proceeded to leave an additional 20% tip. Felt a little ripped off. Food and drinks were great as usual. I have a comment about service. Three times the people servicing the table either spilled drinks or hit someone sitting on the table because they don’t have the courtesy to let the customer know they are about to move drink/dishes away or they are approaching with drinks. It is a simple thing to do and I would improve their service drastically. We went their for a birthday dinner and all 3 of us had the FARFALLE LIMONCELLO. It was tasty and refreshing - lemony, but not too much so. I had not been there before but the other 2 of us had and loved it before, which is how we all ended up with it this time. We shared the chocolate cake and berry tart and both were delicious. The ambience was soothing and relaxing. We enjoyed everything about our dinner there and will go again. The food was excellent as well as the service. Many varieties of food and attentive service. The food was so good. But our waiter seemed annoyed when we asked for recommendations and could have been a bit more helpful/patient. The food was really good though. And dessert. Will be back. We had a delightful experience at Serafina recently. The service was great and the food was even better! The beverages were delicious, and if you like drinks on the spicy side I highly recommend the the Spicy Cucumber! Great atmosphere. I went there with friends of mine and it will be really good for dating and groups as well!! It was a volleyball team dinner while out of town. The food was excellent. Place decorated so pretty. Everyone enjoyed their meals! Delicious homemade authentic Italian dishes! The food and the service was excellent! It was a nice environment with evening lighting which added to the ambience. Serafina was is the hands-down best restaurant I have been to in a while. From the door to the table to the food we had a wonderful long lasting experience. We celebrated our one year anniversary at Serafina, and between you and I, it may be a recurring event! Thank you for making our visit special! Our review is mixed. The cocktails were good and the server was attentive and very nice. The food was disappointing.. We had the tuna/salmon tartare and it was fine. My husband had the chicken Francese and it was under seasoned but ok. I had the cioppino and or was terrible... Minimal seafood and thick red sauce, not broth. The seafood was super overcooked as noted in the shrimp that were twisted three times around. I returned the cioppino and manager removed it from bill. Overall management handled it correctly and was very accommodating but a huge disappointment for my dinner.. Will not return. Serafina is one of my favorite restaurants in Boston. I’ve been here for lunch, dinner, drinks & appetizers, and have hosted a private event here and every time they knock it out of the park. Their service is phenomenal and their staff and management are super friendly. Their food is so good! This time, we went to dinner to celebrate Galentine’s day with some of my girl friends and we each ordered a salad and split a few pizzas - everything was absolutely delicious and presented so nicely! The decor and atmosphere is calming, welcoming and nice too! Definitely recommend! The overall experience was positive. The service was great, but the food was mediocre. I am glad we tried it and if friends wanted to go again I would, but I wouldn't proactively return. Will come again with friends and recommend to others.